What is a Hat Tip? What is a Hat Tip? That was my question to myself when I saw the abbreviated “HT” or “h/t” mentioned in a tutorial on Google Plus. So I go to my first source of information, good ol’ Wikipedia. In today’s blogosphere it means to “acknowledge someone who has made a significant contribution toward an effort, or someone who drew attention to something new or interesting.” You are tipping your hat to the person who has given you an idea, your inspiration. I do that all the time when I read an article that brings on the muse for my next blog posting. Just did not know I was h/t-ing. For more in depth information on Google Plus engagement here is a link (h/t) to Rebekah Radice, 7 Google+ Tips to Create Maximum Engagement. Wikipedia information goes on to tell us a hat tip is “good netiquette when sharing a link or news item to give a hat tip to the person from whom you learned of the item.” When you think about it, sharing a link is an acknowledgment. Linking to a person’s article, a business’s website or video is also a compliment. You believe in that source and you want to share its message. For more detailed information on how linking is important for SEO here is a link (h/t) to Shawn Kerr of InsideOut Solutions, Link Building for SEO. Whether it is in a blog, Facebook, Google+ or YouTube, the sharing should have a point, a meaning. Throwing stuff out on social media just for the sake of posting can turn into noise. After a while folks stop listening. The Google+ tutorial tells us; “Don’t just share posts for the sake of sharing. 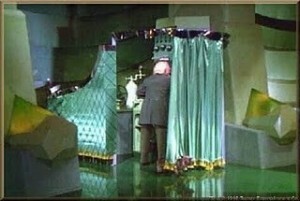 Curate content that matters to your followers and then inject your personal view.” All this is good advice and I tip my hat to the all- powerful Google, that mysterious wizard behind the curtain. In conclusion I want to tell you about an old hat tipper, a person not too many people will know. 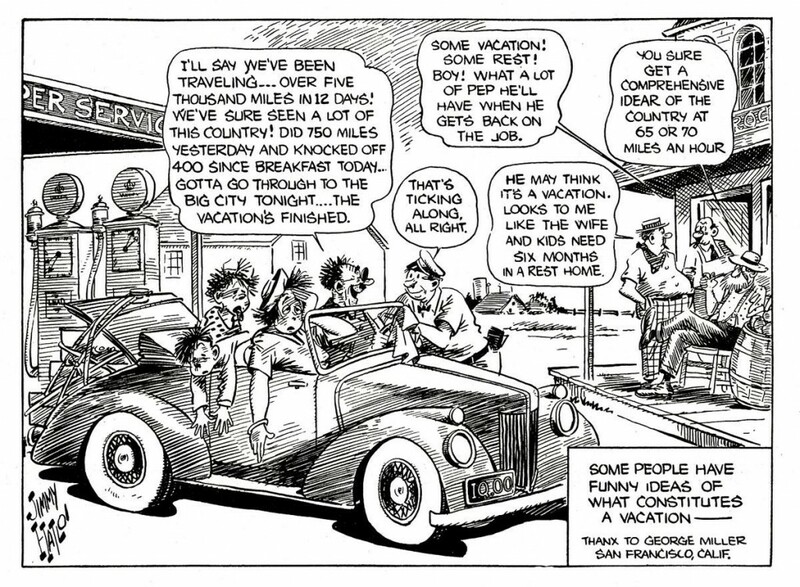 “In 1929, syndicated cartoonist Jimmy Hatlo started thanking readers who suggested a funny idea for a strip with the phrase “Thanx and a tip of the Hatlo hat to [name] at the bottom of his comic strip panel They’ll Do It Every Time. He continued drawing the hat tip box in the strip until his death in 1963.” From 1929 to 1963 he would acknowledge hundreds of people who sent him ideas. I can imagine how thrilled those people were to see their names in print with the tip of the Hatlo hat. As a personal aside, when the name Jimmy Hatlo appeared in my research, I knew who he was. My husband and business partner Rick Wolf went to school with his son and had met Jimmy as a kid. Rick and his friend have reconnected since then and you guessed it, through Facebook. So here is a hat tip from me to Jimmy Hatlo, for having the etiquette to acknowledge his followers. He knew who they were, what mattered to them and then injected his personal view which were his hundreds of cartoons, offering a smile and a chuckle to start their day. So just remember when you link to a source, a website, article, link to a video on Facebook you are hat tipping. Hopefully your hat tip gets back to a real person, the source. Hopefully that person feels acknowledged and it may even make their day. This entry was posted on Friday, September 26th, 2014 at 3:14 pm	and is filed under Social Media. You can follow any responses to this entry through the RSS 2.0 feed. Both comments and pings are currently closed.